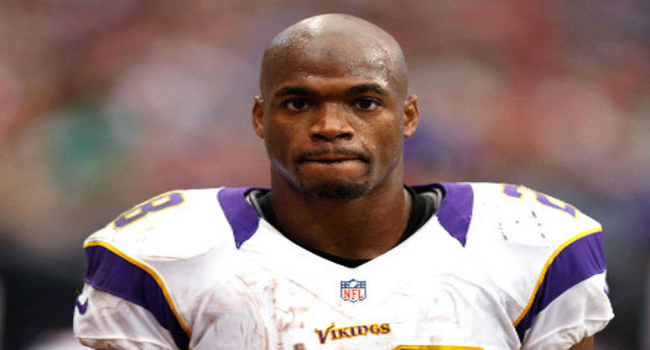 Adrian Peterson could be reinstated soon following a judge's ruling. I can’t tell you for certain if Aaron Hernandez was the man that pulled the trigger and killed Odin Lloyd but it certainly doesn’t look like he “didn’t” do it either. The former New England Patriot is currently on trial for the murder of Lloyd back in July of last year. The prosecution has so far done a masterful job of piecing together that events that led to the murder and everything points to Hernandez as at the very least the mastermind if not the actual murderer. So far the prosecution has revealed video of Hernandez with the same type of gun that was used to kill Lloyd. They’ve also gotten testimony from Hernandez’ fiancee admitting she put a box containing two handguns in the trash. There are several other bits of damaging evidence that have been presented but to this point, it looks like Hernandez will be spending a long time in prison. Of more importance in this particular case is whether other National Football League players are living lives that are at all similar to Hernandez.’ We know about Ray Lewis and Ray Rice and Rae Carruth and we are now waiting for so-called “damaging” video of Dez Bryant but is there other behavior out there like this? With all that Roger Goodell has on his plate looking into more of these types of behavior should probably be pretty high on the list. U.S. District Court Judge David Doty ruled that the NFL did not handle things properly in the case involving Minnesota Vikings’ running back Adrian Peterson. The decision allows Peterson to seek reinstatement immediately and may also allow former Carolina Panther Greg Hardy to do the same. Make not mistake, this ruling doesn’t remove what Peterson did; it just rules that the NFL once again over-stepped its’ bounds in terms of how it and when it can punish players. Let’s assume that Peterson is indeed allowed to play in 2015 and for my money he should be. It seems unlikely that Peterson will remain in Minnesota after his agent go into a pretty heated exchange with one of the top executives from the Vikings during the NFL Combine. Assuming the Vikes are ready to move on, where would Peterson go? Brandon Bostick revealed that he received death threats following the NFC Title game. The easy answer is that Dallas doesn’t keep DeMarco Murray around and brings in the hometown kid in Peterson. If you recall, there was a phone call in which Peterson admitted he’d like to play in Big D so this seems the most likely move. I wish I could say I was surprised by this… Former Green Bay reserve tight end Brandon Bostick admitted this week that after his gaffe in the NFC Championship Game in Seattle he received several death threats. Bostick was the guy who went up for the ball on Seattle’s eventually successful on-sides kick and bobbled the ball. Bostick admitted after the stunning loss that his coaches made it clear that he was not to go after the ball should it come to him. Instead, his job was to be the first line of blockers or “protectors” for the guys behind him who would grab the ball. Bostick did what many of us would do as the ball came directly at him; he leaped high to grab it but couldn’t get a firm grasp of the ball. The rest as they say is history. What’s sad obviously is that anyone would actually threaten a person’s life over this. Perhaps what they should focus their attention on was the conservative play-calling and inability to stop the Seahawks when they needed to. Maybe that’s what these idiots need to focus on rather than cowardly threatening a football player. Super Bowl XIII has become known as "Black Sunday" because Vegas took a beating. As we have now entered the official “Super Bowl” week, I think it’s important to share some history of betting the big game. Obviously, there is no event in America that has more action in a given year than the Super Bowl. The amount of money wagered on this game every winter is enough to run most nations for a calendar year if not longer. If you are going to be one of those millions of folks who are going to lay money on the championship of American Professional Football then let’s check the history books for some perspective and analysis. Any piece of information you can get your hands on is is crucial. Favorites in the Super Bowl have gone 33-15 straight up in the previous 48 games. They are also 26-18-2 against the spread. 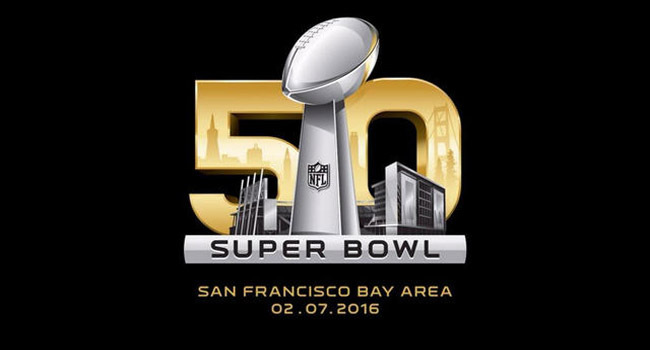 The National Football Conference holds a 26-22 advantage and has won five of the last seven Super Bowls. The largest upset in the game came way back in Super Bowl III when the New York Jets defeated the Baltimore Colts 16-7. The Jets entered as 18-point underdogs. Seattle entered last season's Super Bowl as an underdog and it looks like more of the same this season. In terms of the Over/Under, the Over has ruled in 25 of the 48 games. Super Bowl I did not have an O/U so means the Under was the right play 22 times. The Over has won three of the last four and is tied with the Under with five victories each in the last ten Super Bowls. In terms of the recent history of underdogs, they have won six of the last seven Super Bowls including last year when Denver entered as a -2.5 point favorite over the Seahawks. The only favorite to win during that stretch was Green Bay in Super Bowl XLV. 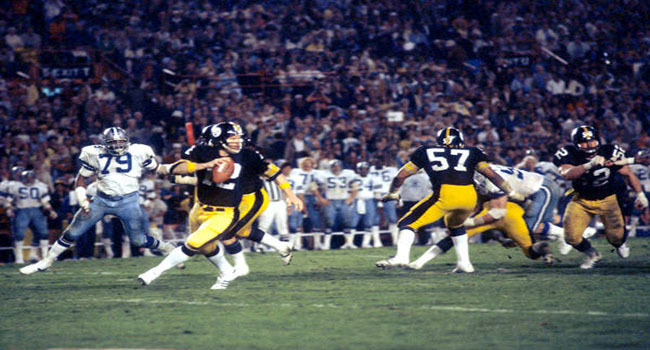 The most infamous Super Bowl in terms of betting was Super Bowl XIII. This was the second of three Super Bowl meetings between the Pittsburgh Steelers and Dallas Cowboys. The Steelers opened at -4.5 but as the game neared, it fell to -3.5 with heavy action on Dallas. The Steelers were victorious 35-31 so Vegas bookies were hit hard. Many bettors took the Cowboys on that early -4.5 line while many jumped on the Steelers when it went to -3.5. This has since been known as “Black Sunday” to many in the sports gambling business. As we move our focus to this year’s game, our friends at Bovada currently have the New England Patriots listed as two-point favorites over the defending champion Seattle Seahawks. 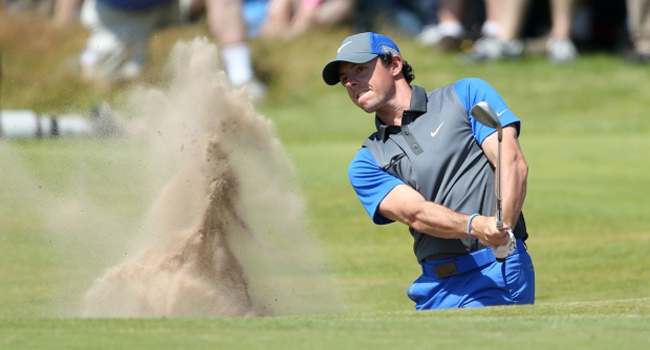 If we like the Patriots as the favorite at -2, then your chances are strong. Winning 33 of 48 is pretty solid. If we like the AFC team (the Patriots), then we might want to move towards Seattle. If we are talking about playing the Over/Under then we are going to suggest the Over based on recent results. If we go based on all of the Super Bowls, then this decision really does come down to a coin flip as we’re very nearly at 50%. Since 2000, the NFC has been the Super Bowl favorite only four times. The St. Louis Rams twice (1-1), the Packers (1-0) and the San Francisco 49ers (0-1). Outside of the Packers win, the other three times saw the Rams not cover against the Titans, the Niners lose straight up to Baltimore and the Rams losing straight up to the Patriots. With all that swirling around these Patriots, you have to ask yourself whether it will galvanize them or ruin them? That said, you must still look at the history because it tells an awful lot. Conservative doesn't even begin to describe McCarthy's play-calling yesterday. I really don’t like the word “choke” as a rule but sometimes it just fits. Maybe it doesn’t apply to the Mike McCarthy and the Green Bay Packers and maybe it does but what I know for sure is that they had no business losing the NFC Championship Game yesterday. Hats off to Seattle. They stayed positive and persisted and took advantage of the opportunities provided them by the Packers and they are headed back to the Super Bowl for the second straight year. But let’s be honest here shall we? The Green Bay Packers did all of the things that teams do to lose leads rather than preserve them and that’s why the state of Wisconsin wakes up in a haze today. Twice in the first half the Packers had to settle for field goals. One of those field goals was shorter than an extra point. When you’re playing on the road against the defending champs, you go for it but Mike McCarthy saw it differently. If I know anything about football, it’s that when you settle for field goals you are ultimately settling for trouble. At the beginning of the second half, the Packers shut the Seahawks down on their opening drive and then proceeded to run in it into the ground and punt it. When you have the defending champions on the ropes in their own building you go for the throat and the Packers didn’t. Then, with about four minutes left and the Seahawks poised to use their timeouts, Green Bay again elected the conservative route. Run for a loss on first down – timeout. Run for a loss on second down – timeout. Run for little gain – timeout. Seattle’s defense had done their job. Less than thirty seconds had come off the clock and now the Seahawks were getting the ball back. Lynch just kept pounding and pounding and along with some luck, it paid off. When you have the defending champions, or any team for that matter, on the verge of being beaten, you go for the throat. I know, if McCarthy elects to throw the ball and it’s incomplete then I’d be screaming as to why he didn’t try to kill time right? Wrong! You don’t win by trying not to lose and that’s what Green Bay did yesterday. When you combine the field goals and conservative play-calling you get a loss that will take some time to get over in Green Bay. Dom Capers’ defensive gameplan was more than enough to have earned a victory but even that started to break down as Marshawn Lynch got cranked up in the second half. In all reality though, Capers’ defense forced four interceptions and still lost and that shouldn’t have happened. 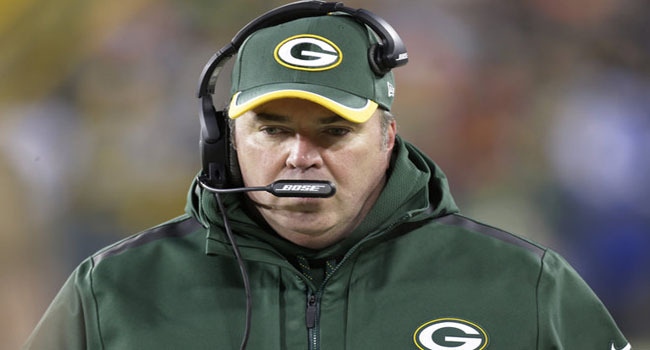 In the bitter end, Mike McCarthy has only himself to blame and yes, I realize he didn’t make or not make the plays on the field. There is however a problem that McCarthy failed to solve and that would be discipline. Last week he had an offensive lineman pick up a crucial personal foul that took the team out of a sure chance for a touchdown. Yesterday, immediately after a turnover that would have given the Packers the ball inside the Seattle ten yard line, a defensive lineman was flagged for taunting. Again, a field goal and not a touchdown. The biggest breakdown in discipline though came on the on-sides kick. Green Bay tight end Brandon Bostick admitted after the game that his job was not to go after the potential on-sides but rather, his job was to block the first wave of Seahawks. He failed to do his job and when the kick came to him, he went for the ball instead of doing his job and the rest is history. Ultimately, players have to execute but Mike McCarthy didn’t do his team any favors. While there are many other guys who can make a difference, if Aaron Rodgers isn't healthy the Packers can forget it. The NFL Conference Title Games are on tap later today and here’s my selections for who advances to Super Bowl XLIX. 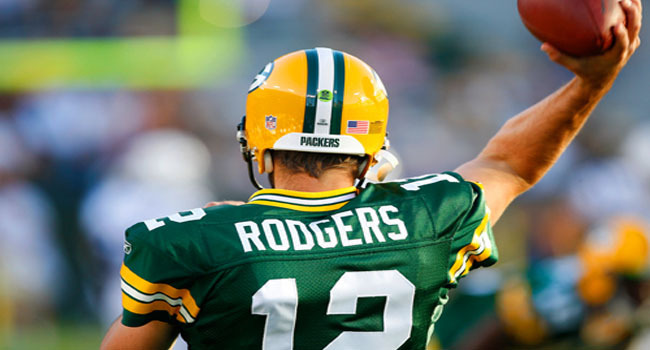 Green Bay (+7.5) at Seattle (O/U 47) – The Packers opened the season in Seattle and played valiantly but lost. Now the question is whether or not Green Bay ends its’ season in the same place where it began or will they advance to the Super Bowl? Then again, maybe the biggest question is just how close to 100% is Aaron Rodgers? The Seahawks’ defense will not give Rodgers a chance to to get comfortable which is their goal regardless of who the play but today will be special. Coordinator Dan Quinn will more than likely test Rodgers early with some extra pressure just to see how well he can move. Either way, the Packers need Eddie Lacy to be a significant factor right away. While under most circumstances Rodgers could carry this team, being less than full health tells me that he’ll need help. Seattle will not do anything fancy on offense. The plan will be as it always is; run Marshawn Lynch and set up Russell Wilson in play-action. The Packers will attempt to take away Lynch, but they didn’t have a whole lot of luck with DeMarco Murray. The Pick: I really think Green Bay can keep this close but I like a late Seattle score for the cover. Take the UNDER as well. Can Tom Brady point the Patriots back to the Super Bowl? Indianapolis (+7) at New England (O/U 54) – Last year in the divisional playoffs the Patriots rode the running of LeGarrette Blount to a big-time win over the Colts. Blount returns by way of Pittsburgh but things have changed a lot since they played a year ago. In fact, they met in the regular season where the Patriots’ Jonas Gray ran for 200 yards in a win over Indy. Gray was late for practice later the following week and he’s hardly seen the field since. The one thing about the Bill Belichick-led Pats is that they rarely do what you think they are going to. Just when you think they’ll go to the air, they go to the run and vice-versa. For the record, I expect them to throw. For the Colts, the gameplan won’t change. They will ride the arm of Andrew Luck and they’ll do their best to pretend to they have a running game with Boom Herron. Don’t laugh because if Herron can find any success at all then Luck becomes even more dangerous. The one thing you can never predict is turnovers. If the Colts can get a few, then this game becomes very interesting. Trends: The total has gone OVER in five of the Colts’ last six games when playing in New England… The Patriots are 5-0 straight up in their last five games against the Colts… Indy is 2-13 SU in their last 15 games at New England… The total has gone UNDER in five of New England’s last seven games. The Pick: The Pats cleared a big hurdle in coming back to beat Baltimore last week and I think they win today but the Colts will find a way to keep it close. Take the OVER too. 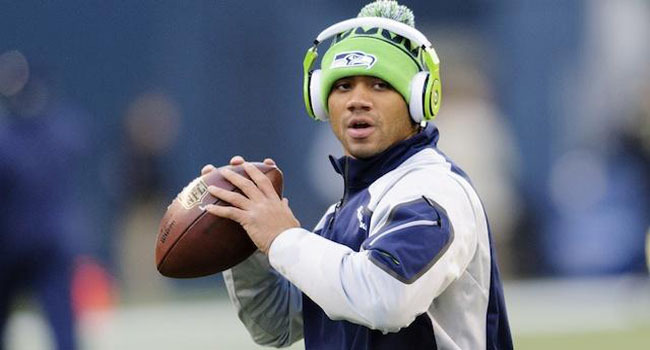 Think Russell Wilson gets into the end zone on Sunday? It might be worth your money. Thanks to our friends at Bovada, I’m providing you with a bevy of prop bets coming from both games this Sunday. My best advice on wagering these is to consider this; I believe you will significant scoring in both games. When I say “significant” I would look for the NFC Title game to be played in the mid to upper 20’s and the AFC Title Game to be played in the 30’s. Like Andrew Luck for two or more TD passes? Then lay some money down! 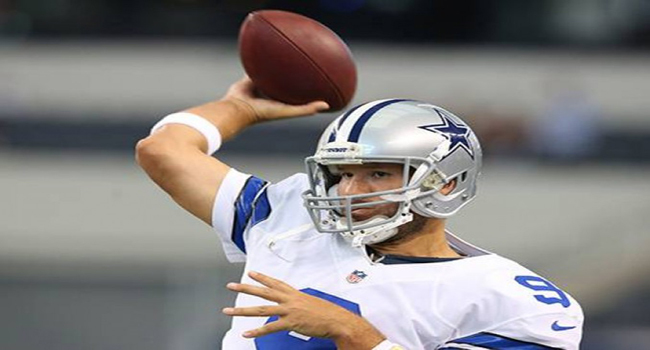 As vulnerable as Aaron Rodgers is, Tony Romo could be in the same position with his bad back. On Thursday I gave you the breakdown of today’s games while right now I’m giving you an up close look at tomorrow’s game. Let’s get to it. Dallas (+6) at Green Bay – If the forecast holds, it’s going to be extremely chilly in Green Bay and that will favor the hometown Packers unless the Cowboys resist the temptation to throw it too much and stick the ground game. DeMarco Murray can in fact lead the Cowboys to victory if that offensive line gets rolling. The Packers will hope that Aaron Rodgers’ bad calf has had enough time to heal but we’re hearing he hasn’t practiced and the calf is “strained.” This means there are definitely tears in the calf muscle. Either way, I expect them to stay as balanced as they can be behind Eddie Lacy. Of all the games this weekend I think turnovers will dictate more about the outcome than the others. This could favor Green Bay because Rodgers hasn’t thrown an interception at home since Bill Clinton was in office. OK, that’s an exaggeration but you get the point. One thing we can’t forget here is that Tony Romo has been playing a bad back for most of the second half of the season. One hit in the frigid cold and Romo could be out. Trends: Dallas is 1-4 against the spread in their last five games at Green Bay… The total has gone OVER in five of the Packers last seven games at home against the Cowboys… The Cowboys is 8-0 on the road in 2014… Green Bay is 8-0 at home in 2014. The Pick: I like Dallas getting the points but Green Bay wins a tight one. If Luck gets time to throw, he could be all smiles by game's end. Indianapolis (+7) at Denver – Don’t be a bit surprised if the Colts come into Denver and pull off the upset. Yes the running game is pathetic and the defense is susceptible to getting beat either on the ground or through the air but if any game has the feel of an upset it’s this one. The Broncos have relied heavily on C.J Anderson in the second half of the season and I’m guessing the Colts will look to take him away first. That will more than likely give us a passing duel between Peyton Manning and Andrew Luck. While I believe Luck will turn the ball over once or twice, I’m also not convinced that Manning is 100% especially with regards to his arm strength. If the Colts can bottle up Anderson enough to force the Broncos into second and third and long situations then that will test my theory about Manning’s arm strength. The Denver defense could make any of my thoughts useless because if they can force the Colts into sacks and early turnovers then things could ugly early and often but I see a competitive game in this one. Trends: The Colts are 6-1 straight up in their last seven games against Denver… The Broncos are 0-5 against the spread in their last five games against Indianapolis… The total has gone OVER in four of Indy’s last six games at Denver… Denver is 5-0 SU in their last five games at home. The Pick: The Colts have had pretty good success against the Broncos in recent years and despite leaking oil into the playoffs I like the Colts and the OVER. This is not where you want to see Aaron Rodgers if you've taken the Packers to cover Sunday. Wisconsin has long been known as “America’s Dairyland” and that of course means the cheese state possesses a large number of cows. The most important calf in all Wisconsin however has nothing to do with producing milk. This calf is one of the two inhabiting the body of Green Bay Packers’ quarterback Aaron Rodgers. Last we saw the potential league MVP, he was leaving the field on a cart at home against Detroit. He eventually returned to lead the Packers to a division title while being stepped on by the Lions’ Ndamukong Suh. That will have been two weeks ago this Sunday when Rodgers takes the field in the NFC Divisional Playoffs Sunday against the Dallas Cowboys. As of this writing, Rodgers has yet to practice with the team and I don’t think that’s the end of the world but how good will his timing be with his receivers? It was revealed on Thursday that Rodgers had a slight tear in his calf muscle and while it sounds alarming, anytime you have a muscle strain, essentially the muscle has tears so that wasn’t overwhelming news. This leads me to two questions: First is how effective can Rodgers be if he is unable to use one of his finest assets which is to be mobile? He can certainly beat Dallas by standing in the pocket and throwing the ball but that isn’t what he or Coach Mike McCarthy wants to see. Eddie Lacy could be the key to Aaron Rodgers' success on Sunday. The second question has to do with you. Right now this line has dipped to Dallas +6.5 in lieu of the Rodgers’ news. Previously, the line was at +7. If you intend to bet this game, how much faith can you put in Aaron Rodgers’ ability to stay on the field and be effective? If he were 100% healthy heading into this game then I wouldn’t hesitate to go with Green Bay to cover but now things are in serious doubt. Perhaps this will send the money to the Dallas side and I expect it will. Remember this is a match-up of a team with an unbeaten road record against a team with an unbeaten home record. What you have to decide is whether you think Rodgers can play the full game and at what level and do you have any confidence whatsoever in his back-up Matt Flynn? I think the wild-card in all of this is Eddie Lacy. If the Packers can establish him as a viable running threat early on then that will take pressure off of Rodgers. I still like the Packers to cover in this one but I have a whole lot less confidence than I did a few days ago. Former Miami Dolphins’ running back/fullback Rob Konrad was a nice player during his six-year NFL career but he wasn’t anything spectacular. What he did earlier this week was worthy of a Hall of Fame vote in my opinion. Konrad was fishing alone in his 36-foot boat when he fell into the Atlantic Ocean while trying to reel in a catch. With his boat on auto-pilot and going away from him, he was forced to swim roughly nine miles to shore. At one point, a U.S. Coast Guard helicopter actually flew right over him. He eventually reached a beach in West Palm and was being treated for hypothermia. 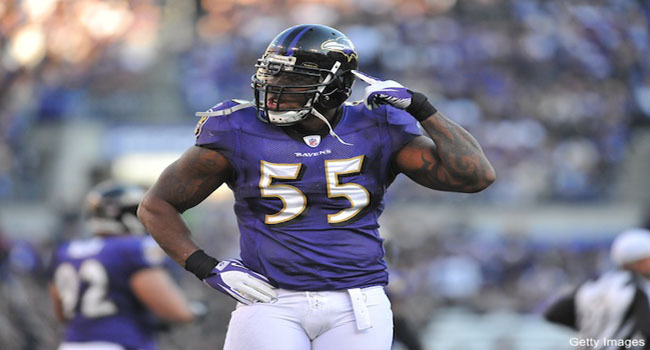 If Suggs has the same impact in New England that he had in Pittsburgh then another Ravens' win is possible. Things are liable to change slightly as injury reports come out later this week, but right now I’m focusing on the lines for the Divisional Playoffs as they stand today. Below, you’ll find the latest Super Bowl odds as well. Baltimore (+7) at New England – Tom Brady has lost just three times at home in the NFL Playoffs but two of those losses were to the Baltimore Ravens who come to town yet again. The Patriots are typically very good coming off of a well-deserved bye, but questions will certainly arise about whether they are all in sync with the time off. The Ravens come to Gillette Stadium with nothing to hide. They know they have a pedestrian secondary and will rely heavily on the pass rush to slow down the Patriots. Offensively Joe Flacco will need to be his unflappable-self in order for the Ravens to win and advance. Ultimately however, the Patriots’ offensive line will do a better job than did Pittsburgh’s and Tom Brady will expose that secondary. I like the Pats to cover as of right now. Cam Newton will need a Superman-type performance if his Panthers are to pull the upset in Seattle. Carolina (+11) at Seattle – This is more than likely going to be the least interesting game of the weekend yet somehow it has garnered the Saturday night primetime spot. That probably isn’t fair because if the Carolina defense can limit the Seahawks’ offense then there’s a chance this could be a close game. My gut tells me otherwise though. Cam Newton is less than 100% and running back Jonathan Stewart can only do so much. I have to believe the Seahawks will be primed for this game as a return to the playoffs has been their top goal since day one. Right now, I like Seattle to cover. 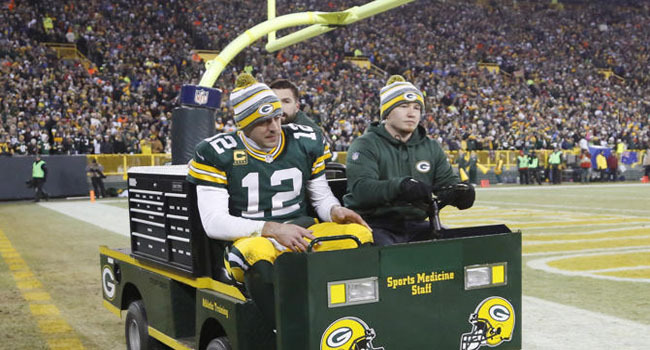 The Packers will hope that Aaron Rodgers’ bad calf has had enough time to heal. Either way, I expect them to stay as balanced as they can be behind Eddie Lacy. of all the games this weekend I think turnovers will dictate more about the outcome than the others. I like Dallas getting the points but Green Bay wins a tight one. That will more than likely give us a passing duel between Peyton Manning and Andrew Luck. While I believe Luck will turn the ball over once or twice, I’m also not convinced that Manning isn’t 100% especially with regards to his arm strength. If you’re looking for a game to go with the underdog then I love the Colts in this one.